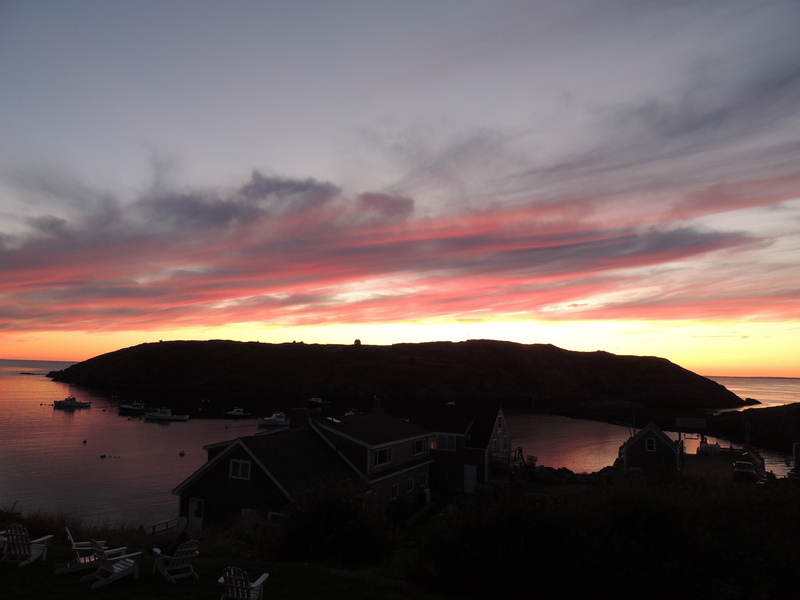 My mind is often thinking of Monhegan (Ok, THIS photo really is Monhegan, last post I posted a Maine photo, but it was not Monhegan, sigh… have another cup of coffee Barbara!). Great people. Stunning weather. Views that you remember for a lifetime. Peace. Quiet. Great food. Lasting relationships. Oh, did I mention the sunsets? The art? The many trails that are so gloriously maintained? The freshest fruits and veggies from the Farmer’s Market? The Jubilee at the church? You never know exactly what’s in store. House Plan: A country farmhouse plan (888-7) from Houseplans.com! 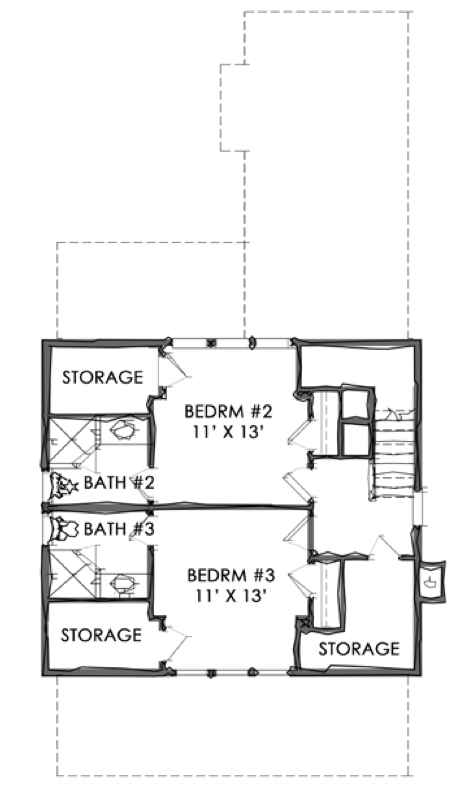 This Signature Plan 888-7, designed by Nicholas Lee, is 2,168 square feet with 3 bedrooms and 2.5 bathrooms. The layout of the first floor is nice, it’s open, and most importantly it offers wonderful deep overhangs for the porches which help keep the house cool in the hot months. 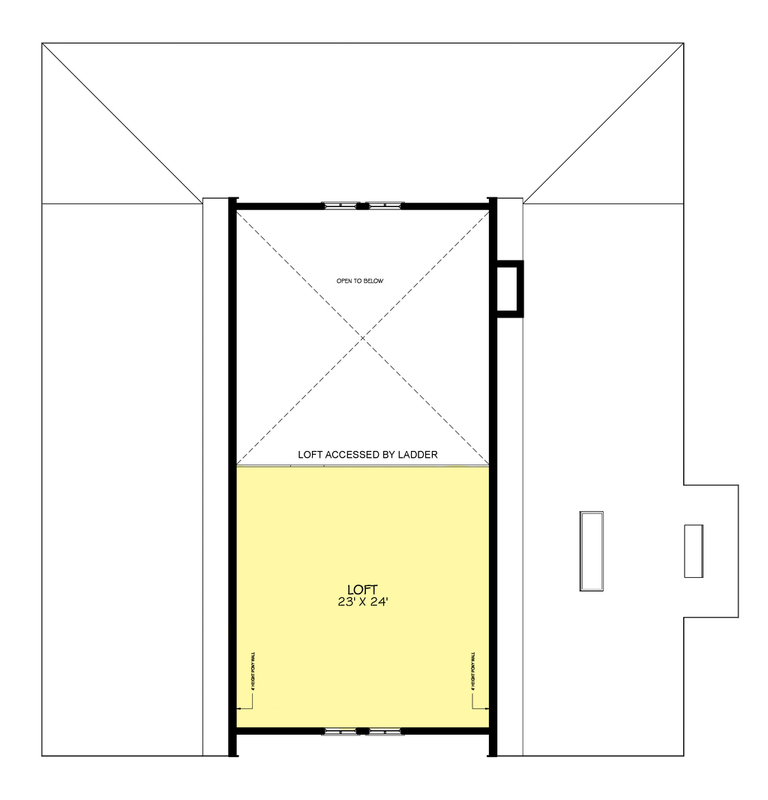 The loft is accessed by a ladder from the main floor. You could always use that space as storage (much like you would use an attic with a pull down staircase). If the ladder was in the way or you didn’t want to draw attention to it, you could move it when not needed. A climate controlled attic… at least in the south that would be really nice! I remember the first time I put red and white taper candles in the Christmas decoration box. When I pulled it down the next year the candles had completely melted. Many of our good ornaments ruined (not by the candle wax, but from the heat). What do you think of this plan? Let me know! 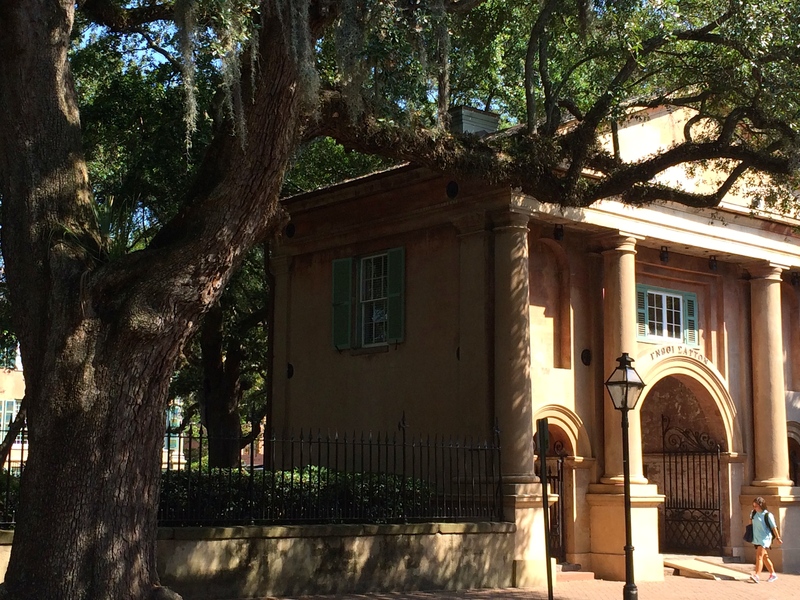 College of Charleston… I’m impressed! College of Charleston. A beautiful, historic campus founded in 1770 and located in the heart of the city! Recently, my nephew was in town, and we stopped in the Admissions office at College of Charleston. I was so impressed with not only the guy that was giving us the information (a student! ), but with all the students on their way to classes. Each and every one of them were so helpful. They offered advice, directions, and things we should check out. I truly felt like I was in the “Friendliest City in America” (which Charleston is again this year, for the second time in a row!). The amount of information that they share is wonderful and so helpful when it comes to deciding on WHICH college. Over 10,000 undergraduates and approximately 1,200 graduate students at the College enjoy a small-college feel blended with the advantages and diversity of a mid-sized, urban university. They work closely with a committed faculty, made up of more than 500 distinguished teacher-scholars. And the city of Charleston – world-renowned for its history, architecture, culture and coastal environment – serves as a living and learning laboratory for experiences in business, science, technology, teaching, the humanities, languages and the arts. College of Charleston was listed as #12 in the country according to U.S.News! So thank you College of Charleston for answering our questions, impressing us and making our day! House Plan: Plan TNH-SC-47A by Moser Design Group! 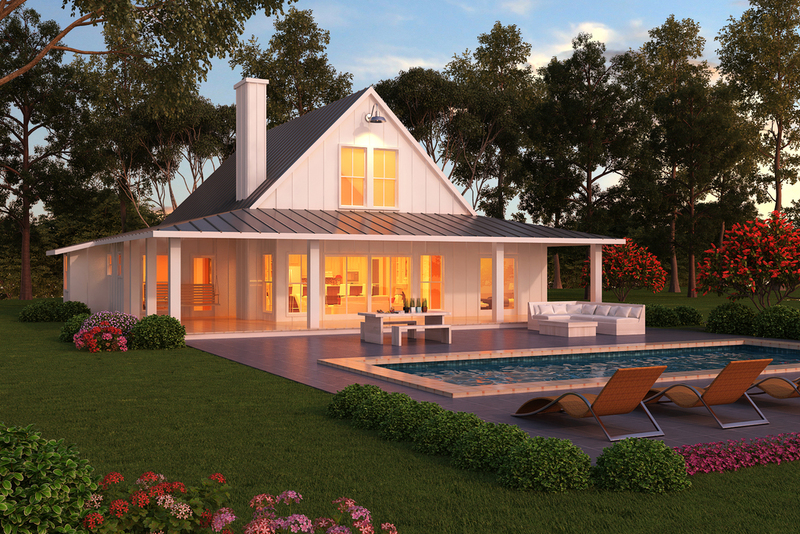 Moser Design Group has some fabulous house plans. If you aren’t familiar with them, they are located in Beaufort, SC – they have their plans online and the site is easy to navigate. I selected one that I really like. It’s 1,693 square feet with 3 bedrooms and 3 bathrooms. The ceiling height downstairs is an impressive 10′, while upstairs the ceiling height is 8’6″. I love the bungalow cottage look of this house. The fabulous porch really makes it! What you don’t see is a screened porch around back… very nice! This is an open plan with the living/dining all in one room, which would work perfectly for us! The kitchen is an impressive 12’x13′ – I cannot imagine! What a treat to have a screened porch off the kitchen. It would be nice to be able to open that door while you’re cooking in the cooler months! Can I say… I love storage? Ok. I LOVE STORAGE! And there is plenty of it fit into this house plan! I’m not a packrat by any means, but it’s nice to have a place to put certain things like Christmas decorations, out of season clothing, or things that you use on occasion (luggage, etc). Over the past 20 years, Eric Moser, President of Moser Design Group, Inc. (MDG), and his staff of professionals have built a reputation as designers of fine custom residential architecture. Their primary focus over the past decade and a half has established the firm as a major proponent of the New Urban movement. As a member of the Congress for New Urbanism, the New Urban Guild, and the Institute of Classical Architecture and Classical America, MDG dedicates their work to the planning and architectural fulfillment of New Urban and Traditional Neighborhood Developments (TND’s). 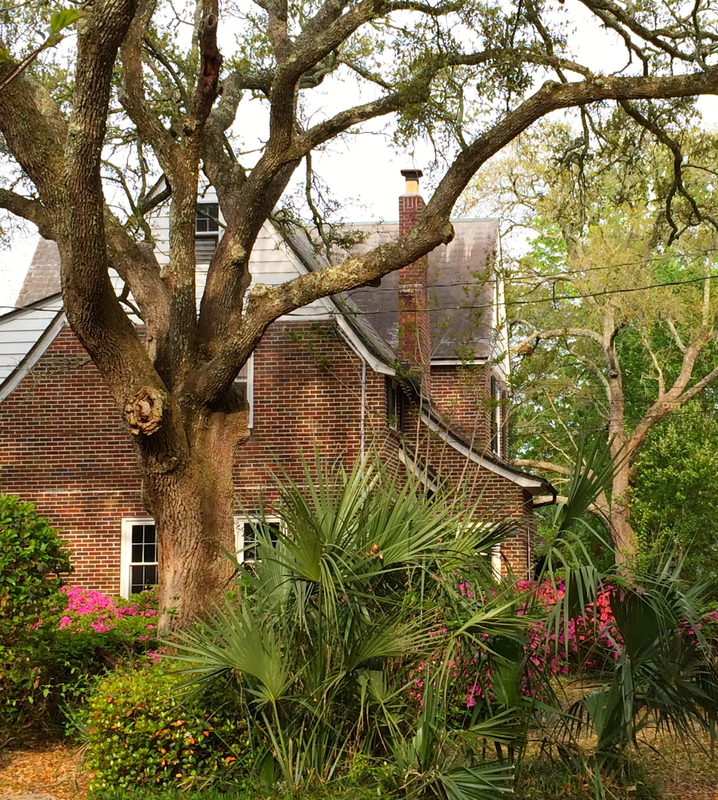 MDG’s involvement with New Urbanism began in Beaufort, SC in 1992 with the pioneering neighborhood of Newpoint. Since then, they have been involved with many TND’s including Eric’s home town of Habersham in Beaufort, SC. In 1997 Eric participated with the highly acclaimed firm, DPZ Architects in the planning charrette for Habersham. Today it is a growing, vibrant coastal village where Eric chairs the Architectural Review Board and works closely with town founder Bob Turner in fulfilling the town plan. Eric is a frequent consultant on charrettes across the United States for new and old towns, infill projects, hamlets, and neighborhoods. He collaborates with other professionals to plan, analyze and reintroduce the historic local and regional building patterns that made most old towns so successful and memorable. MDG has established itself as one of the most prominent providers of Traditional Neighborhood building types, ranging from 600 square foot bungalows, to manor houses to town center civic buildings. Over time, this broad array of experience has allowed the team at MDG to refine the craft of place making. The firm has also been active in the Katrina and Rita recovery efforts in the Gulf Coast. Eric was a participant of the Mississippi Renewal forum and remains very active in developing and providing emergency housing solutions for the victims of the storms. A significant portion of that work has been the design of multiple Katrina Cottages and building relationships with manufactured and modular home companies to affect the quick delivery of dignified, permanent alternatives to FEMA trailers. A MDG Katrina Cottage design was chosen as one of the first four plans to be engineered into a material package in partnership with Lowe’s Home Improvement Store. MDG endeavors to provide high quality authentic designs and stay involved with the growing number of New Urban projects. The firm is also dedicated to finding new approaches to make their buildings and projects more sustainable. 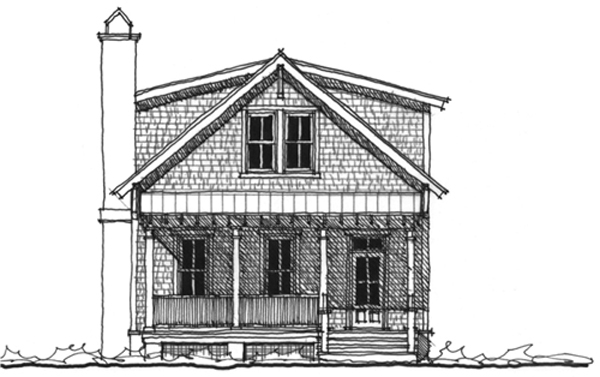 House Plan: The Chechessee River Cottage! Sweet cottage plan, isn’t it? 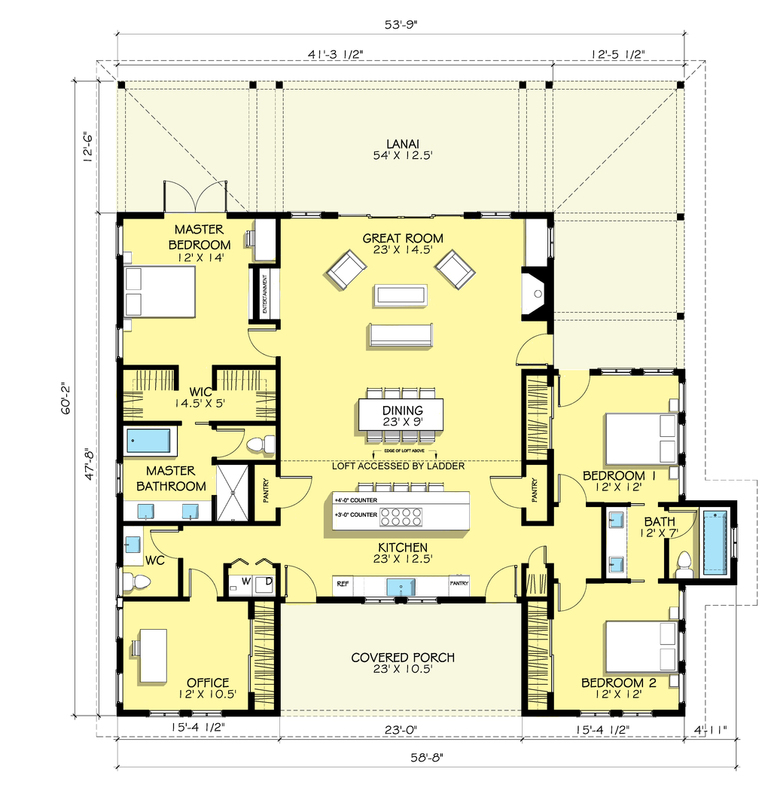 This house plan is by Allison Ramsey Architect… one of my favorite architects! 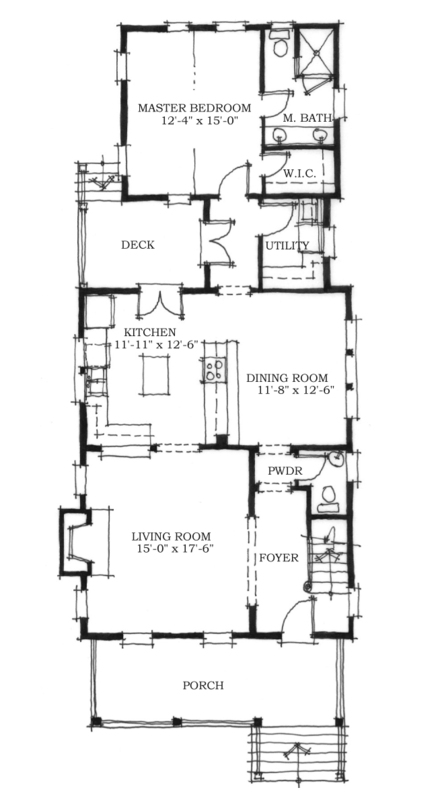 I can always find house plans that I would love to live in on their website! This cottage plan is roughly 1754 square feet with 3 bedrooms and two bathrooms. 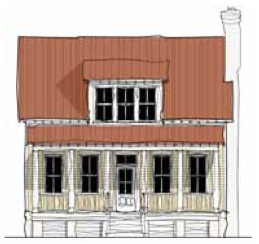 If I were building this house I would use shingles like in the illustration… second choice would be white with a metal roof, maybe painted a cool green? I love the configuration of the rooms. They make sense, and that is what sets apart these homes. They flow well… It’s so nice to have the master bedroom downstairs and in the back of the house. Also nice to have the utility room nearby, so that laundry is close to the bedroom where you will be putting away a majority of it anyway! Great kitchen/dining layout. I might even make the dining room a informal area with a sofa and a table for casual eating… and use it as a library/tv area at times that you want to be tucked into the back of the house? Great layout upstairs. Simple in design and it works! This is really nice for guests, they have the upstairs, you have your bedroom downstairs. Nice and private for them! 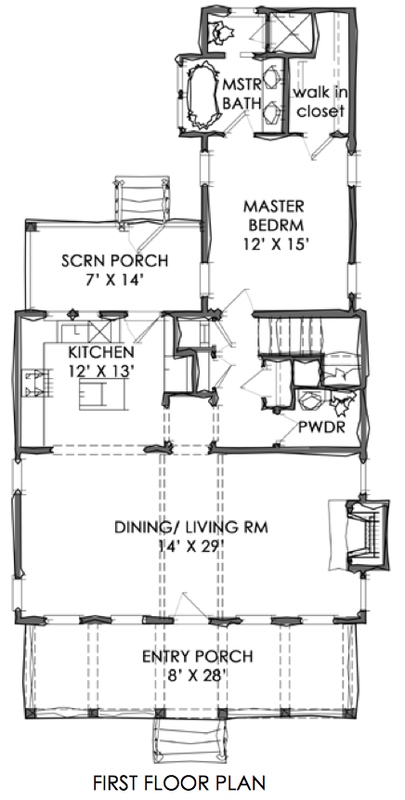 Check out Allison Ramsey’s house plans, they can do anything your heart desires! O n e Y e a r A g o: Artist: Jeffrey T. Larson! T w o Y e a r s A g o: Spoleto! T h r e e Y e a r s A g o: Picasso Quote! Well, it is Palm Sunday today… so I thought I would get a shot with a palm! This isn’t our house, but it’s a beauty, isn’t it? Lovely with all the azaleas blooming! The big old live oak trees help as well. Such a pretty setting! Enjoy your day… catch you back here tomorrow! O n e Y e a r A g o: Peekey Boo! T w o Y e a r s A g o: So… you want to be an art critic? T h r e e Y e a r s A g o: L.L. Bean Adventure Duffle!